Bengaluru-based iTiffin, with its focus on delivering healthy food, is all set to roll out nationally. 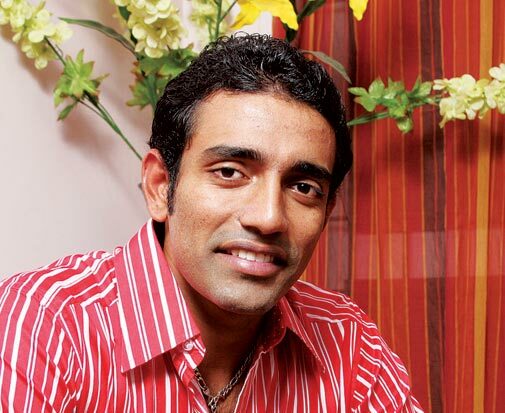 In January 2012, national cricketer Robin Uthappa had faced a dilemma. Due to constant travel, he ate unhealthy meals and that had wrecked his fitness. He couldn't shed weight despite a rigorous training schedule, thus affecting his performance on the field. It was then that his friend advised him to check out a company Qua Nutrition launched by a nutritionist and a former CFO of e-commerce major Flipkart . The high-end nutrition consultancy was started by Ryan Fernando, a nutritionist, and Tapan Kumar Das, an IIM-A alumnus, who has worked with many start-ups. Uthappa says in 18 months he lost 20 kg. "From 94 kg, I dropped to 74 kg. More important than the weight loss was that I felt energetic throughout the day. Even after a full day on the field, I could carry on effortlessly. That's when I realised that eating right was the key to feeling good," he says. The company has worked with the likes of Olympic games medallist Sushil Kumar, cricketers Shikhar Dhawan, Pragyan Ojha, golf star Sharmila Nicollet apart from a host of celebrities and senior industry executives. However, not all can afford a full-time nutritionist. But Uthappa was so enthused by the outcome of his own efforts to live healthily, that he decided to help fund a start-up, which would deliver "affordable nutrition-based wellness". He invested Rs 1.5 crore and iTiffin started taking shape. A few angel investors put in small sums and Rs 6 crore came from a large spice exporting company, which did not want to be identified. After raising Rs 8 crore, iTiffin started out in June 2013 and became fully operational by October 2013. Currently operational only in Bengaluru, it functions out of a 10,000-sq-feet hub at Whitefield. 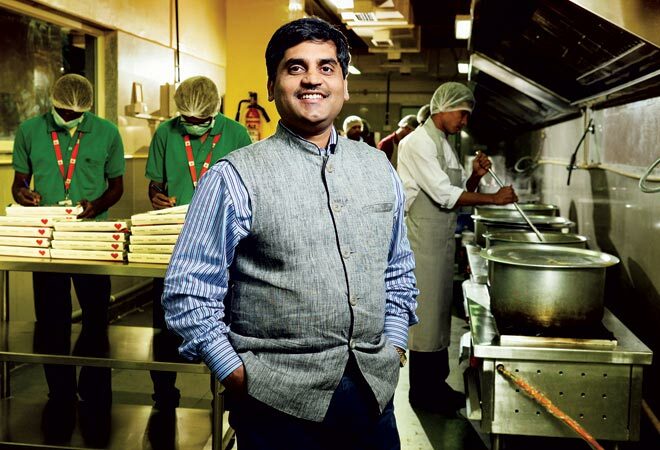 Tapan Das, co-founder, is at pains to distinguish the company from the neighbourhood, "home-cooked food, delivered-in-a-box-meal" kind of player. "Depending on individual needs, we plan calorie-defined meals for all. There are customised plans for diabetics, senior citizens, those with high blood pressure and other ailments," he says. Tapan has been a part of the start-up teams of companies like Health & Glow, Indian Terrain, YLG and Flipkart. "In my 15 years in the industry, I have worked with everything from retail, logistics, fashion industry, and e-commerce. I understand what start-ups require and how they can succeed by addressing a market need," he says. iTiffin insists that people sign up for at least a month. Currently, they deliver meals only for lunch and dinner. A typical meal plan costs Rs 1,800 for five-day-week plan. "While several of the ideas might seem commonplace, what iTiffin ensures is that eating healthy is not difficult," he says. Similarly for senior citizens, the meal mix is different taking into account their metabolism and calorie requirements. A typical iTiffin meal has one bowl of salad, a serving of brown rice, two small servings of sabzi and a chapatti packed in disposable containers. For non-vegetarians, they also have customised meal plans depending on one's requirements. Right now iTiffin says it has 2,000 customers for its lunch and dinner plans. The target customer is not the next-door bachelor working at a tech firm. Meet Sidde Gowda, a real estate consultant, and his wife Shreya who runs her own garment retail shop. They have signed up for iTiffin's service for dinner. "Both of us lead hectic lives and dinner is the only meal we have together. So we first tried having a cook. But somebody has to stay at home, monitor them and after a few small things went missing, we decided to move on. We tried the local neighbourhood food deliverer. While the food was tasty, prices competitive and delivery on time, we realised it was too oily and was being made in less than hygienic conditions," says Shreya. However, Gowda says while the iTiffin food is healthy, it is a little bland for South Indian taste buds and delivery invariably gets delayed at least a couple of occasions in a week. "I stay in BTM Layout and by the time food reaches me at 8 p.m., more often than not it is lukewarm. They need to improve logistics," he says. 'I am considering investing in the next round... We are a young country but we need to be a healthy one, too,' says ROBIN UTHAPPA, Cricketer. Das says that while the problem is not uncommon, the company is addressing it. "Just like at Flipkart we realised that logistics was key to our success, we have done that here, too. We have a huge centralised kitchen right now to ensure quality. We are also developing a hub-and-spoke model. Food, unlike most e-commerce items, is perishable and Bengaluru's notorious traffic poses the same challenge," he says. iTiffin has set up its first distribution centre at Indiranagar, a suburb. Das says that the company, which has been operational for five quarters, is experimenting with multiple models to ensure customer satisfaction. Right now it is even selling take-aways from this centre. He says eventually the company will examine having multiple kitchens in the city. "Our current facility is built to cater to 20,000 meals at a time. We are utilising just 10 per cent of that. So we are stressing on improving delivery mechanisms." The company has also started delivering snack boxes to schoolchildren in the city. "We are already delivering snacks to 200 schoolkids in two schools and once we iron out all issues, we will scale this up." By March, it plans to roll out its snack boxes across the country. "It will have finger food, energy bar, health drink, Indian namkeens. The difference will be that it is portion-controlled, non-fried and will deliver the right amount of protein, iron, calcium and fat depending on a child's age and requirements," Das says. The snack boxes are priced at Rs 100 a day. iTiffin is earning Rs 3 crore a year and is now looking to enter Mumbai, Delhi, Chennai and Kolkata in the next 12 months. "For this we are looking to raise around $6 million. Operationally, we have been profitable from day one," he says. The company is aiming at a turnover of Rs 30 crore by March 2017. Uthappa for one seems to be happy at the growth of iTiffin. "I am considering investing in the next round along with other investors. While we are young country, we need to be a healthy one, too," he says. There are a few other players also in this nascent segment, like Nutritown in Bengaluru and Calorie Care in Mumbai. However, Das says that iTiffin with its emphasis on customised plans, affordability and logistics will triumph over competition.